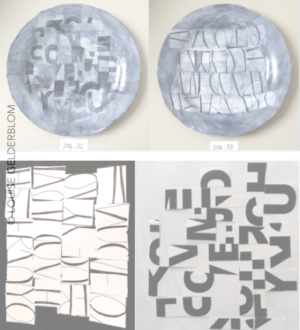 In my previous life I was a graphic designer… These are plates I made recently with hand drawn typography of phrases that were in my head at the time. This image shows the abstracted design on paper and the final pieces. As with everything else I do, the original meaning is irrelevant…I believe the final, finished work speaks for itself and speaks to the viewer/end user.